The strategy of teaching Bentley to feel comfortable under water so that he is not afraid of swimming has had a couple funny consequences. One is that he will go under and hunt for things on the bottom of the pool, but he is not learning very quickly to "move" in the water. In other words, he submerges readily and happily, but in the water he cannot get from A to B because he does not understand the aspect of swimming with his hands and legs. 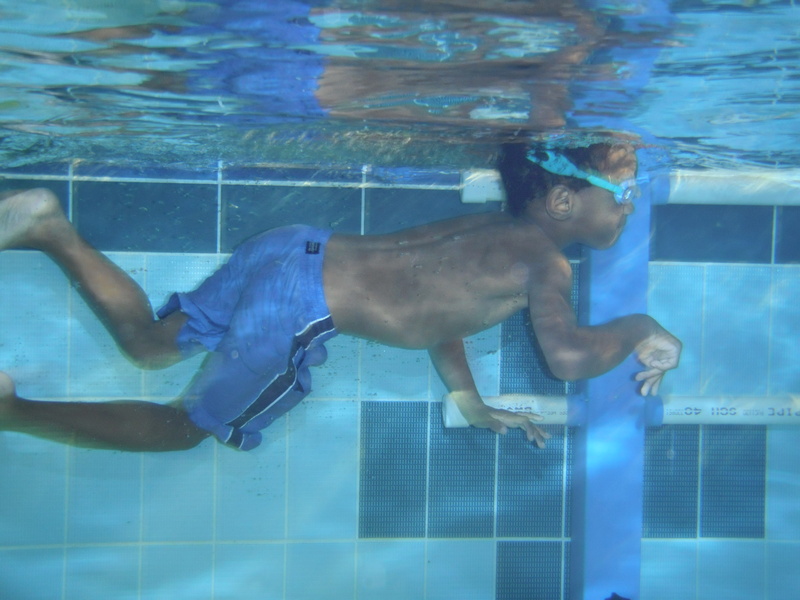 This picture is one of the first (taken by Amy) where you can see he is both kicking his legs and swimming with his arms. He loves swimming and I love to watch him do it!